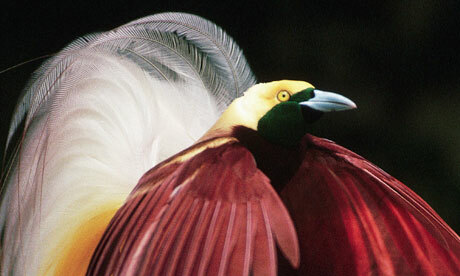 Mr and Mrs Brown Bird lived in a jungle in Papua. Mr Brown always complains about his feathers. He thought they were ugly. He was jealous with his friend, Mr Green Bird. "I want to have beautiful feathers like Mr Green Bird. His feathers are not brown like mine. They are very beautiful," said Mr Brown Bird to his wife. "Honey, you have to be grateful with your feathers. With feathers like this, humans are not interested in us. So they will not hunt us," said Mrs Brown Bird. Mr Brown Bird then went to the God of Jungle. "I want to have beautiful feathers like Mr Green Bird's feathers,” said Mr Brown Bird. "Don't worry. I can make your wish come true. Just choose one color." "Hmm I don't know. How about red? Yellow? Green? I'm confused." The God of Jungle was upset. "Choose now!" Mr Brown Bird then looked up to the sky. He had an idea. "Aha! I know which color to choose. I don't want one color of my feathers. I want many colors. I want my feathers to be colorful like the rainbow in the sky." Not longer after that, Mr Brown Bird's feathers were colorful. When he went home, his wife did not recognize him. "Honey, it's me. I'm your husband." "No, my husband is not like you! His feathers are brown!" said Mrs brown Bird. Mr Brown Bird tried very hard to convince his wife realized that he was really her husband. "You are very stupid, my husband. With color like these, humans will hunt you. What if they also take our children? Now, please go away! Our lives are in danger if you are still here," said Mrs Brown Bird. She was crying. 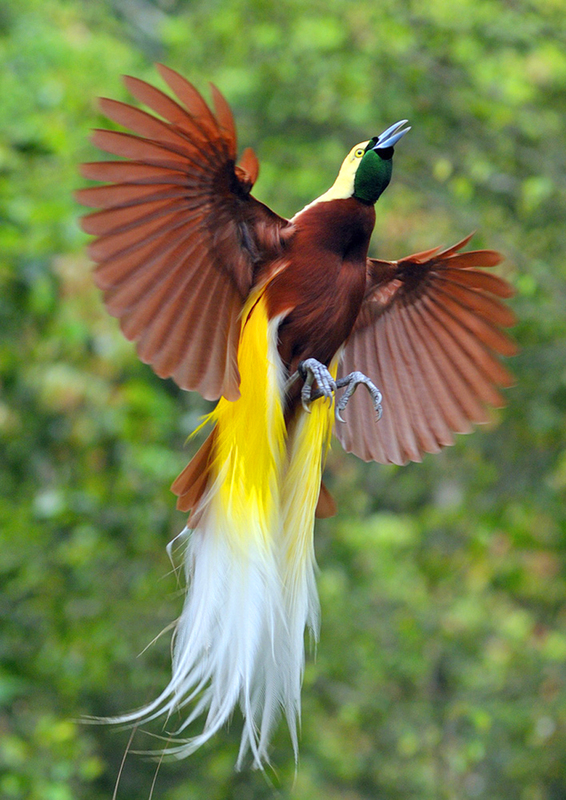 Cendrawasih or the birds-of-paradise are members of the family Paradisaeidae of the order Passeriformes. The majority of species in this family are found on the island of New Guinea and its satellites, with a few species occurring in the Moluccas and eastern Australia. The family has forty species in 14 genera. The members of this family are perhaps best known for the plumage of the males of most species, in particular highly elongated and elaborate feathers extending from the beak, wings, tail or head. For the most part they are confined to dense rainforest habitat.